ROOM CONTROL allows you to attenuate the unnatural, exaggerated low-end that can often occur when speakers are placed next to walls, while HIGH TRIM allows for more flexible control of high frequency response. For inputs, HS full-range speakers can accommodate a wide range of balanced and unbalanced sources such as mixers, keyboards and audio interfaces with XLR and TRS phone jacks. With the HS8S subwoofer, HIGH CUT control sets the cutoff frequency of subwoofer output high-frequency attenuation from 80Hz to 120Hz, while PHASE switch adjusts the phase of the subwoofer output. The LOW CUT switch and LOW CUT controls enables attenuation of low frequencies for output between 80Hz and 120Hz. 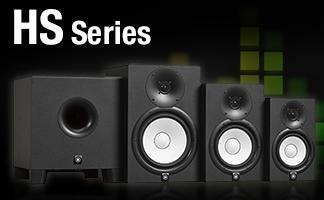 The HS8S subwoofer is equipped with XLR and TRS phone jack inputs and for outputs XLR for L and R and EXT SUB out. 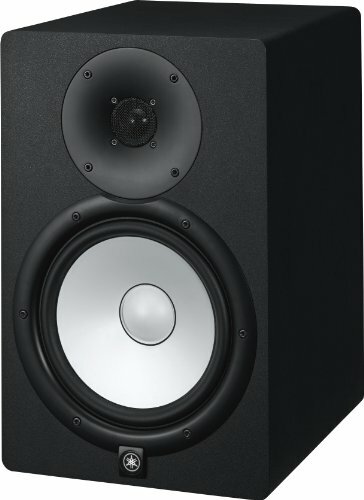 White versions of the 5" HS5 W, 6.5" HS7 W and 8" HS8 W provide users with a broad range of monitors that can adapt to a wider variety of music production environments and aesthetics.